We have tested out one of the world’s fastest growing online trading platforms, IQ Option. Keep reading to find out, whether the broker is a legit company or a scam. IQ Option offers a unique trading platform for binary options, digital options, forex and cryptocurrencies (CFDs). The CySEC regulated IQ Option platform that allows real trading starting at $10 appeals to new and existing clients mainly with its high payouts that reach up to 91% in case of a successful trade (binary options), and highly competitive spreads (Forex, Crypto). There are no swap charges (overnight fees) on trading cryptocurrencies, so long-term investing is ideal. New traders can set up a FREE Demo trading account at any time. From the 2nd July 2018, binary and digital options are not promoted or sold to retail EEA traders. If you are not a professional client, please leave this page. To find out whether you can be classified as a professional trader, please read the paragraph below. Can I be classified as a professional trader? I recommend reading our article – How to get the PRO Status at IQ Option to find out how to get an approval for your application and why this change is necessary. If you do not meet the requirements to become a professional trader do not sink into despair, IQ Option still offers a fantastic place for trading CFDs on forex, cryptocurrencies, commodities, stocks and indices. 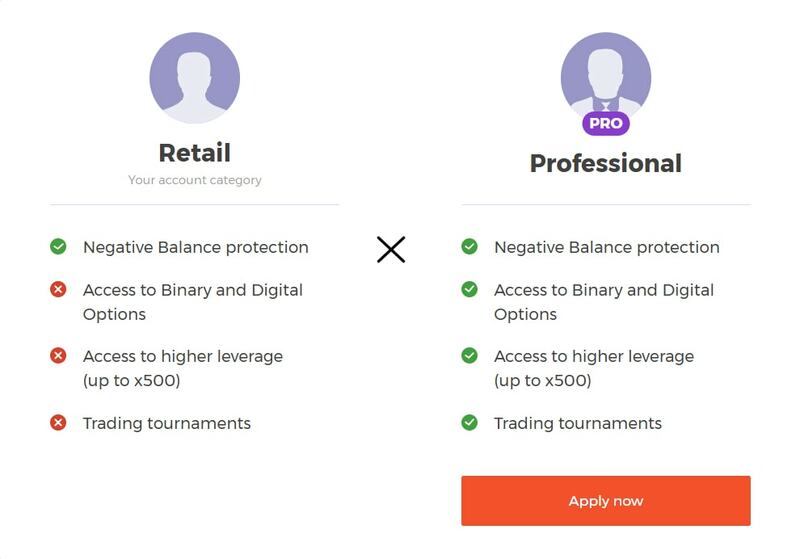 What is the difference between an account of a retail and pro trader? General Risk Warning: 77% of retail investor accounts lose money when trading CFDs with this provider. You should consider whether you understand how CFDs work and whether you can afford to take the high risk of losing your money. Demo account: Yes, you can create a free unlimited demo account. No deposits required. The IQ Option trading platform has recently undergone a major transformation resulting in a very fast, clear and modern solution for binary and CFD trading. As the IQ platform offers all the important features and tools, it might even replace the current software you use for technical analysis. However, if you are, like me, accustomed to MT4, you can use the IQ platform for executing trades only. The platform runs in a regular browser or you can download it directly to your computer. The broker also offers an Android/Apple application very similar to the computer version that you can download to your smart device.The IQ Option payouts are currently probably the best in the industry. They can go as high as 91%, but they usually move around 87% to 89% (in case of a correct prediction). The binary options payouts do slightly vary during the day due to constantly changing market conditions. The IQ Option platform uses the ECN system which is also used by some forex brokers. The broker offers 3 types of accounts in total. Each account type has its own specific features and benefits. Therefore you should choose the one that best suits your needs. You can find the benefits of each account type below. The most frequently used account when first trading at the IQ Option platform is the demo account. It allows you to test whatever you need (platform, strategies, etc.) and it is totally free of charge and you don’t even have to make an initial deposit. Once you establish your demo account you will be provided with $ 10 000 fake money to trade with for as long as you need since the demo account is not time-limited. You are also granted access to the extensive educational centre (can be used by all three types of accounts). Finally, once you’re sure that it’s time to enter the real market using real money, you just have to make an initial deposit and a real or VIP account will be set up for you. The IQ Option real account requirements are slightly different in comparison to accounts of other brokers. The minimum deposit is as low as it can get – $ 10. And the lowest possible investment is only $ 1, so if you wish to trade small amounts you are free to do so. The advantage of these very precisely adjusted investments is that you can easily follow your money management strategy which is very hard to do using other platforms that usually require a minimum deposit of $100, $200 or more (and trades from $10). The third account available at IQ Option is the VIP account. This account has many advantages, that the 2 other accounts don’t offer. The VIP account is designed for experienced traders from non-EEA countries. Read more about the VIP account, its conditions and advantages in our separate article – VIP account at IQ Option. IQ Option is currently a very popular broker and I definitely do not consider it to be a scam. At present, the company has over 3 and a half million active traders from all around the world, even though they had started with just 15 000 accounts in 2013. One of the biggest advantages that I see in IQ Option is that the trading risk is entirely in your hands. Firstly, it’s because you can use a time-unlimited free demo account without having to make an initial deposit, and secondly, because you can create trades with just $1. In the last brokerage comparison where I have tested payouts of all binary brokers, I have found out that this company currently offers the highest returns, which are up to 91% in case of a correct prediction. On the other hand, each broker has its drawbacks and IQ Option is not an exception. One of them is that there is a very limited number of commodities you can trade. At this moment, there are only gold and silver. I am also missing some advanced features like rollover, or double up, which can very often come in handy. However, they have already added buy out function so we might also see those in the near future. Final verdict: For me, the broker did surprisingly well. 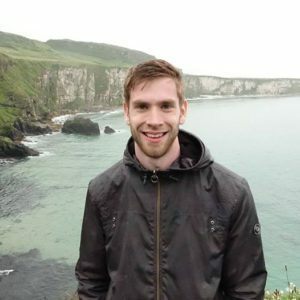 IQ Option has an impressive platform with superior returns and an extremely positive reputation. Moreover, it is a fully regulated company in almost every EU country. To activate your real account you have to deposit only $10 and to create a trade you need only $1. 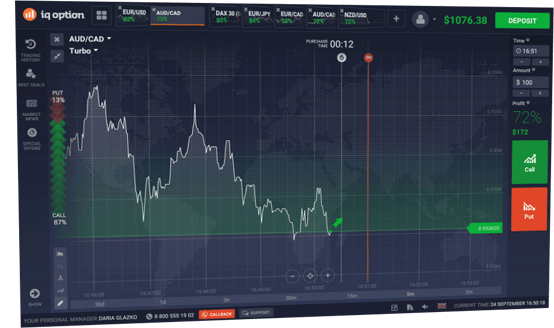 The trading platform is a remarkably pleasant experience, it responds instantly and it’s very modern yet simple. Therefore the whole concept works extremely well. I recommend anyone to at least try out the IQ option trading platform, if only via a demo account, which can be created without a need to make an initial deposit.